He's seen playing the Hofner at 2:42 in the linked video, and during JBS in his Live from Trona video on Vimeo. Stoermer uses the Hofner 500/1 on "Joy Ride" on the album Day & Age. On page 2 of the slide show. Used on the Ozzy classic 'Flying High Again'. 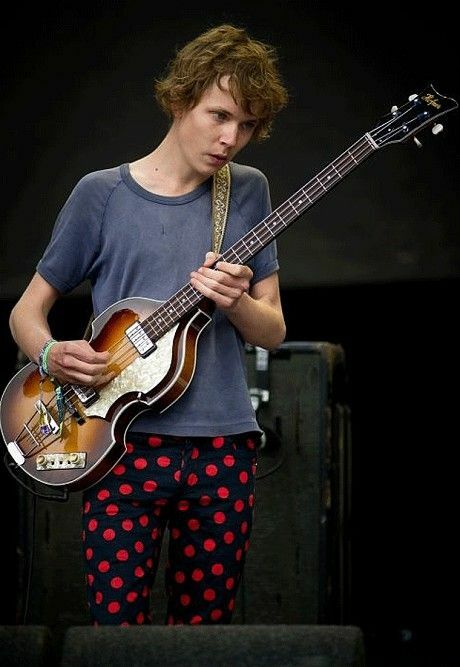 Nick is playing his Hofner bass in this image. 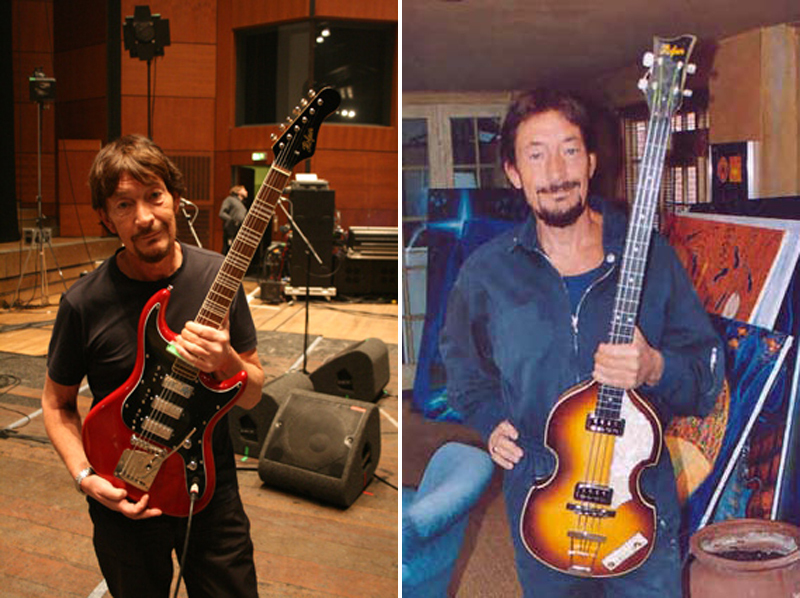 "[Hofner Violin Bass used with Zwan](https://reverb.com/news/billy-corgan-artist-shop-preview)"
In the right picture you can see Chris Rea holding a 1962 Höfner 500/1 Bass. In this photo, we can see Fieger with 3 Hofner 500/1 basses. 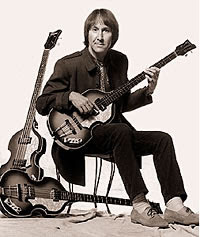 Stephen can be seen playing a Hofner Violin Bass in this picture. As listed among the gear in this website, among the "Expando" section. 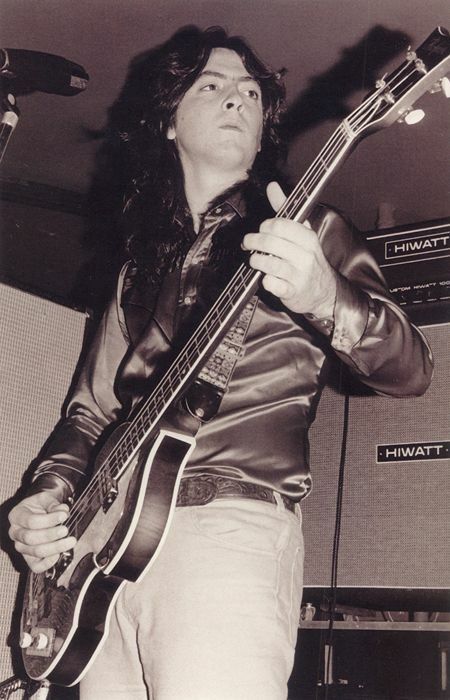 In the background of the picture you can see Henk's Höfner 500/1 Bass. Se ve a Pedro usar un Hofner durante el video. Hofner Violin Bass guitar (given to Bruce Foxton when he joined The Jam in 1975). Hofner Violin Bass guitar (used when first joining The Jam - originally played by Paul Weller). 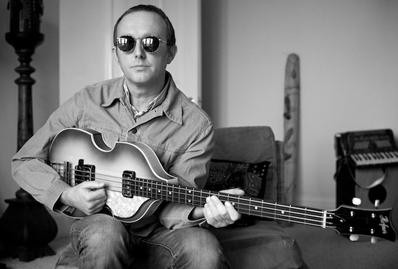 Nocito uses a Hofner 500/1 bass in the MV for "Shattered Dreams". He commented that it actually sounded rubbish, and that he'd never use it to actually record with. Many times during the scene of the film "Saturday Night Out" where The Searchers play the title track of the same name, Tony Jackson can be seen playing a 1963 Höfner 500/1. This bass was also used in television appearances such as "Thank Your Lucky Stars" in 1964. Marty Schwartz reviewing Hofner Bass. A promotional photo shows him with a 500/1. Jemaine can be seen playing this bass for the song "A gender reversal reversal"
In the video you can see Anthony Giorgio playing his 1962 Höfner 500/1 Bass. 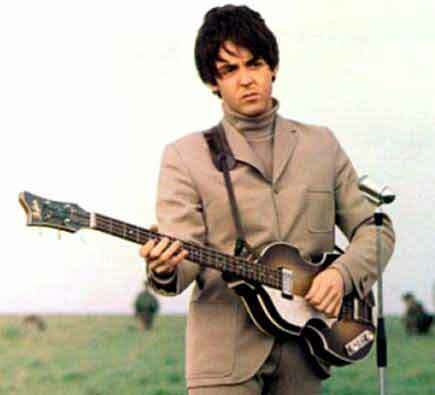 For the last albums, Endkadenz 1 and Endkadenz 2, Roberta used a Hofner 500/1 Bass. In this picture Red is showing us a 500/1 Vintage "Violin" Model he used also during the recordings of "Parsifal" and in live exhibitions for some "beat" songs like "Piccola Katy" or "Nel Buio", or for his lead projects "L'istinto e le stelle-Rossopositivo Tour"
The Hofner Ignition Violin Bass is a unique electric bass guitar which features a violin shape hollowbody constructed from flame maple with a solid spruce top to deliver the iconic Hofner tone. Also incorporating a 22 fret Rosewood fingerboard, ignition staple nickel pickups, rosewood bridge and open geared tuners the Ignition Violin Bass is sure to stand out on stage and produces a distinctive sound. Amazing lovely sound and it does not weight that much! Best sounding bass for 50's-70's vintage bass tone... hands down. I had a ignition version, and while the sound is 75% there... the playability was pretty much non-existent to professionally recording.. why? The build is very poor and is meant more as a decorative piece... they did not build the frets correctly so even after changing pricey string set after another and setting up countless times... only one spot of the fretboard played somewhat accurately... improper build made this useless in the studio. The real german made one looks leagues better, plays anywhere in the fretboard as it should... and the pickups deliver full original tone we all know and love. If you want the sound of bugs! Best shortscale bass ever. And if you dig that Beatles sound you should definitely get it. Sound is original and amazing. Pick ups are great. Tunning is amazing. Just an amazing instrument to own. After some fierce bidding on ebay, I won my '62 40th anniversary reissue Hofner at 6am in the morning for 1650 USD from some fella that was in a Beatles' band in Philly. I love this bass. The only drawback that I find, is that it is so easy to play. 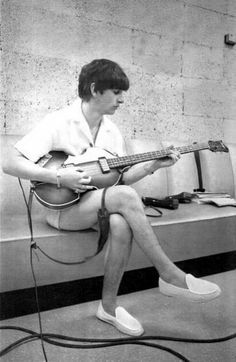 You can easily get spoiled playing a Hofner, making it harder to play a longer scale bass. I tend to shift back and forth between the Hofner and a Gibson Les Paul bass to keep myself in check. I'd like to get an ICON series Hofner and fit it with German electronics & hardware and use this one a little more sparingly to prevent it from getting dinged up. It's a great bass. The Violin Bass offers a unique sound, this being a warm and organic one. By selecting the bridge pickup you get a brilliant sound, worthy of an electric bass for something for a solo or funky sound; When selecting the neck pickup you get warmth and softness to perform rhythm and accompaniment and by selecting both you get the one that for me is the best of all the sounds, bringing out the best of the bass and a delightful tone. In addition to adding the "rhythm and solo" switch, this is a kind of booster to stand out in your presentation.